We love a good budget-friendly find, but when it's a full look we can't help but get excited. 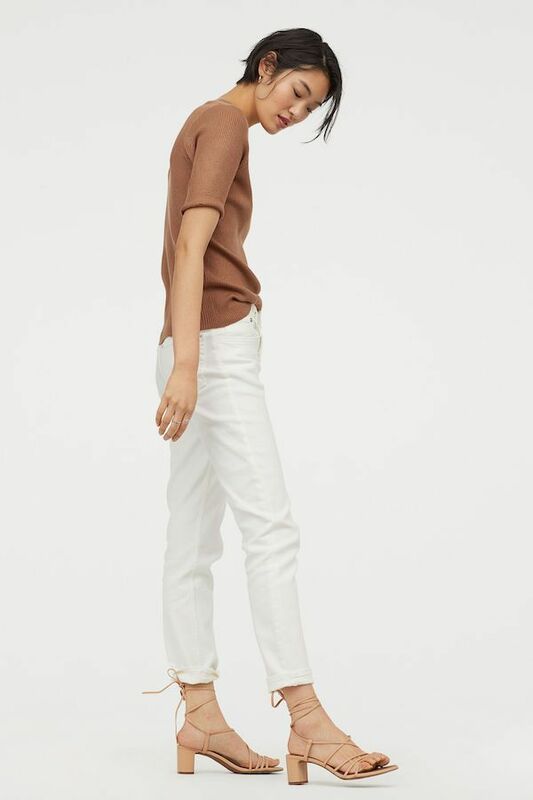 Such is the case with this stylish neutral outfit—The taupe ribbed top, slim white jeans, and beige ankle-wrap sandals come to a total of $118. Hello, affordable spring look.